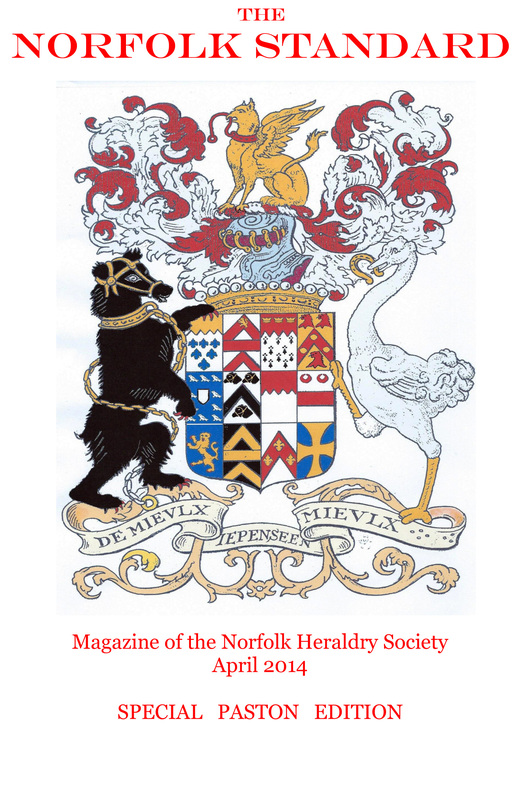 Copies of the Society’s quarterly magazine The Norfolk Standard are available from the Hon Secretary - please see the Contact Us page. SPECIAL PASTON EDITION in conjunction with The Paston Society. Commemorating the Paston family, their history, their houses and the famous Paston Letters. Price £5 plus p&p. Designed and Hosted by Inspire Anglia (tel. 07790 863753). Copyright 2010-14 Norfolk Heraldry Society. All rights reserved. UK law applies.